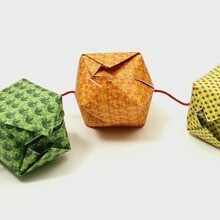 Here is a nice decoration idea, a garland of origami Chinese lanterns! Easy and fun to make, they can also brighten up a room! 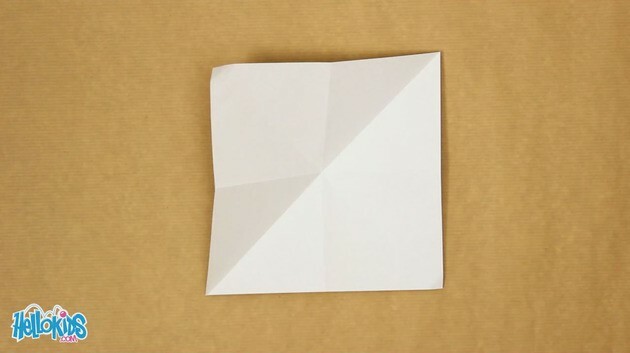 Fold your piece of paper vertically and horizontally, and open it again. 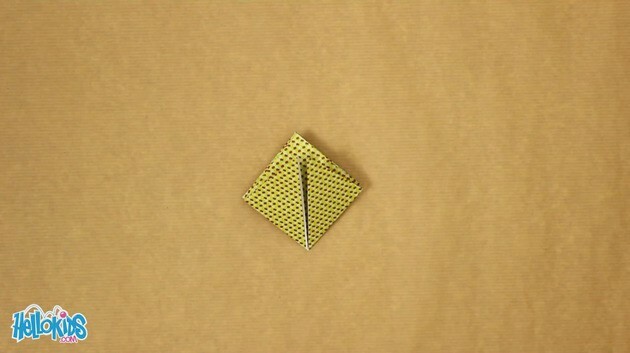 Now, fold it along both diagonals, and open it again. Bring together two middle points of two opposite sides, to make a triangle. 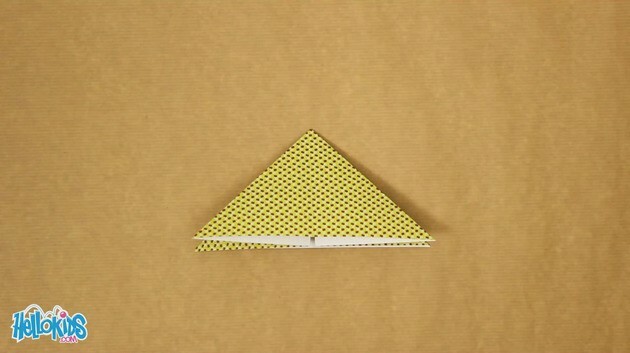 Fold up the upper layer of each side of the triangle. Turn it over and start again the last step. You should have a square now. 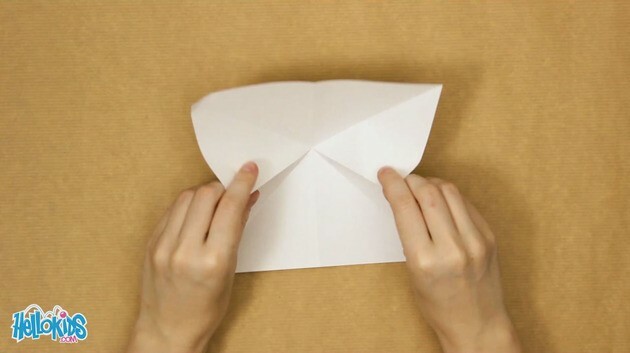 Fold the side corners to the middle line. 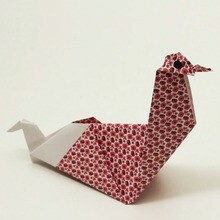 Turn over the origami and start over the last step. 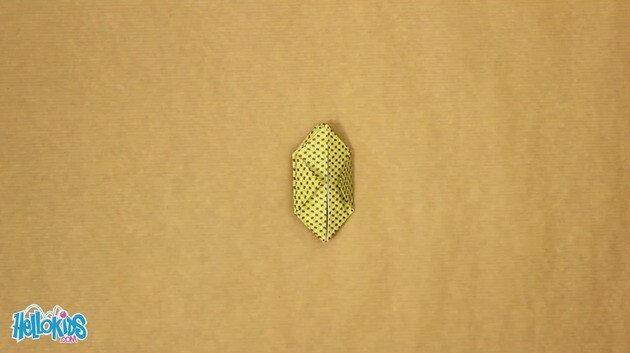 Now, fold the two little points on top, inside the triangles just below. 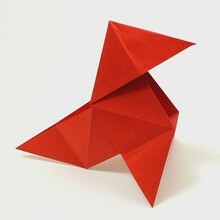 Turn over the origami and start again the last step. 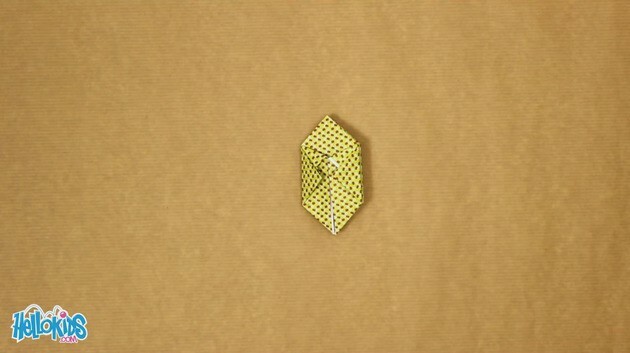 Either your pull a bit the faces of the origami to flatten the top, and form a cube. Or you pull a bit the faces, and you blow inside it, through the little hole at the bottom! These two methods might be a bit complicated. Don't hesitate to ask an adult to help you. You finished you origami Chinese lantern! If you make a lot more, you can string them on a thread to make a garland! 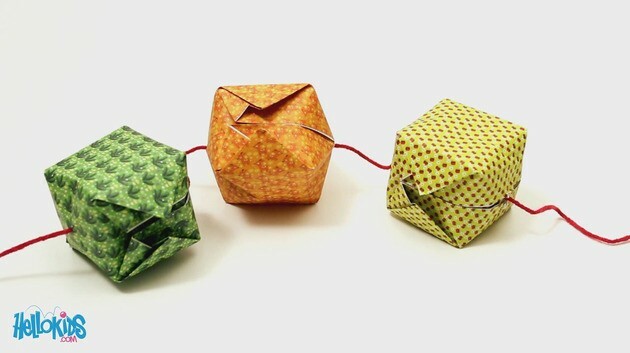 This origami is also called water bomb, because with a certain type of paper, you can fill it with water through the hole at the bottom!